Since returning from Japan earlier this year, Brock has been flying the flag high for little-visited Hokkaido, Japan’s northernmost island. Even if you are on a second or third trip to Japan, the country’s northernmost island of Hokkaido still probably isn’t top of the list. 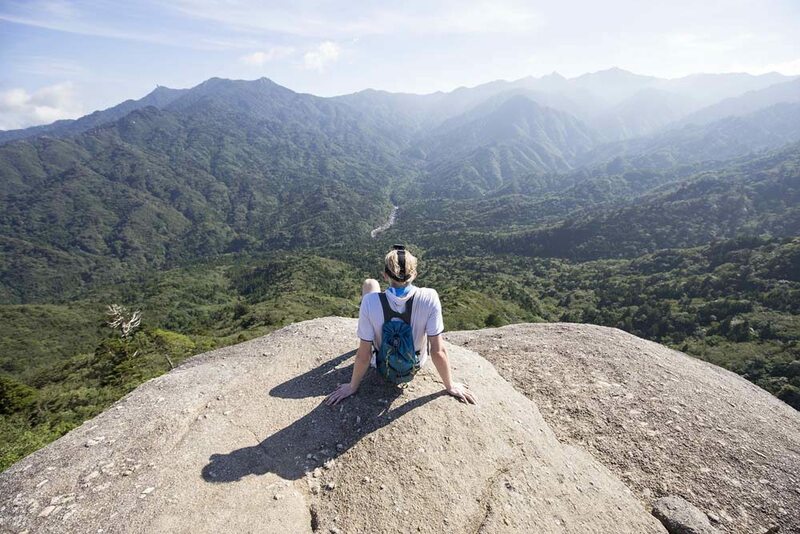 But this large island, best known for the incredible Sapporo Snow Festival, offers something different to the rest of the country: an adventure on the wild side. As a first-timer to Japan, I knew little of Hokkaido, despite it being roughly the size of Austria and found a side of the country that couldn’t be further away from the Japan I imagined. I could see why it’s considered Japan’s ‘last frontier’. The food came in the form of Katte don (roughly translating to ‘as-you-like-it rice bowl’) at Washo-Ichiba market; essentially sashimi on rice. While this sounds basic, it is a case of letting the top quality ingredients speak for themselves. Although I’m not going to deny that a bit of wasabi and soy sauce doesn’t complete the dish perfectly. The second area worth exploring is Abashiri on the northeast coast of the island. Hokkaido is famous (in some circles) as the most southernly point in the north hemisphere where you can see drift ice. This is due to unique conditions around the Sea of Okhotsk (say that five times quickly), that I won’t go into now… the excellent Okhotsk Drift Ice Museum explains everything. To see the drift ice up close, jump on the icebreaker ship Aurora. It’s designed to get you into the thick of the action – and if conditions are right you can even walk on the ice. If you do have your heart set on walking on a precarious piece of sea ice, do go at the right time of year to avoid disappointment… and wet feet. In Abashiri, fantastic food cropped up again in the form of a sublime Japanese-style barbecue. Cooking your own beef ribs and veggies on the little BBQ in the middle of your table makes you feel like the world’s greatest chef. Noboribetsu is home to Jigokudani, known as “Hell Valley”, due to its steaming geysers and sulphurous smells. 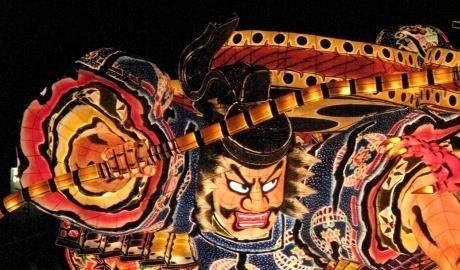 There are a number of brightly coloured statues of Oni aka demons who protect the hot springs. Apparently they’re not out to get you, but tell that to the one with glowing red eyes! The valley is absolutely stunning, particularly in heavy winter snow, and there were plenty of walking trails to explore and views to admire. Natural beauty was number three on the highlights list, and number four was learning about the Ainu. The Ainu were the indigenous race that lived on Hokkaido for centuries. They were forced to assimilate with the Japanese and few in the Western world even know about them, but despite their struggles, their culture is still present in some places. The Shiraoi Ainu Museum is set up like a small village with each building showing a different aspect of Ainu life; a fascinating place to explore and a little-known side of Japan. Sapporo is the largest city in Hokkaido, and the closest you’ll get to the bustling atmosphere of Japan’s main urban areas. 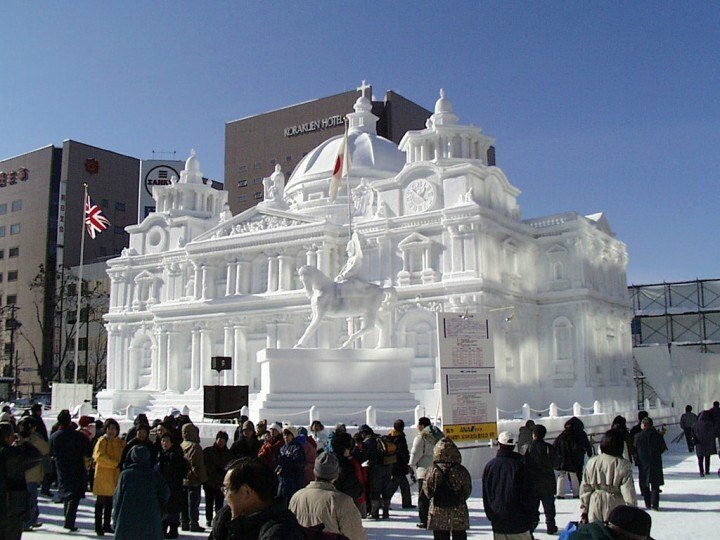 It’s best known for its snow festival when amazingly intricate snow sculptures, with everything from pop culture references to traditional Japanese architecture, are on display in snow or ice. Hokkaido is also home to some of the world’s best regarded ski resorts. It played host to the Winter Olympics in 1972 and there is even an Olympic Museum that lovingly plays tribute to the games next to the Okurayama Ski Jump Stadium. Taking a chair lift to the top of the ski jump offers great views of Sapporo – you get a real sense of how brave Eddie the Eagle was! If you are hankering for traditional Japanese culture after all that, take a trip to the Hokkaido Shrine. Sapporo is a return to familiar for anyone used to the bustle of Tokyo and Kyoto (with a distinctly Hokkaido twist). If you have some time in Sapporo, a trip to Otaru, the historical home of herring fishing, is a must. Visiting Old Aoyama Villa (now known as Otaru Kihinkan), the very definition of 1920s luxury, gives you an idea of just how lucrative the herring industry used to be. It’s a visually beautiful piece of Japanese history, if a little chilly in winter. These historical links with the fishing industry mean that seafood is particularly good here (if pricey), and you can even try making your very own sushi. Despite being a small town, the pretty Otaru Snow and Light Path offer a quieter option to the busy Sapporo Snow Festival. With little shops to duck into and cute cafes tucked away there are plenty of places to warm your hands up. For a taste of rural Japan (and a counterpoint to the technologically advanced urban cities) travel to the wilds of Hokkaido. In winter there’s simply snowhere like it!